The British Horseracing Authority has welcomed the European Commission's decision to grant the United Kingdom third country status for the export of live animals. One of the major uncertainties facing the racing and breeding industries in the event of a no-deal Brexit would have been the movement of horses between the UK and the EU. Should the UK leave without a deal, barriers to entry to the EU will remain. However, this status would only apply if the UK leaves without a deal on Friday. If an extension is agreed, third country status would need to be applied for again at a later point. BHA executive director Will Lambe said: "This decision on listing from the European Union is extremely welcome, and reflects the UK's high health standards in respect of its animals, and of course the thoroughbred population within this. "It provides important clarity for the racing and breeding sector before a potential no-deal departure from the EU this Friday, which remains the default outcome ahead of this evening's European Council summit." 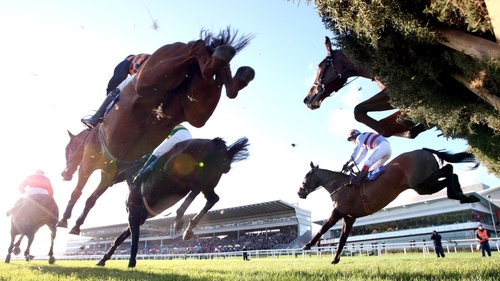 Currently the movement of racehorses and breeding stock between Britain, Ireland and France has been allowed under the Tripartite Agreement - but following Brexit that will no longer apply. Lambe added: "While it would have been preferable for the EU to commit to continuing with the current systems and the Tripartite Agreement for thoroughbred movement in the event of no deal - as the UK has done - we have at least avoided a deeply damaging situation whereby horses would be prevented from travelling to or back to the EU. "We continue to hope that a deal can be reached, but at the same time encourage all in the industry to be prepared for a potential no-deal outcome, and to refer to the detailed information on the BHA website as to what steps they should be taking."